NEW ZEALAND, Wellington, December 14, 2018 – Leading games publisher PikPok® today announced their latest original title I Am Monster is now available for free worldwide on the App Store and Google Play. 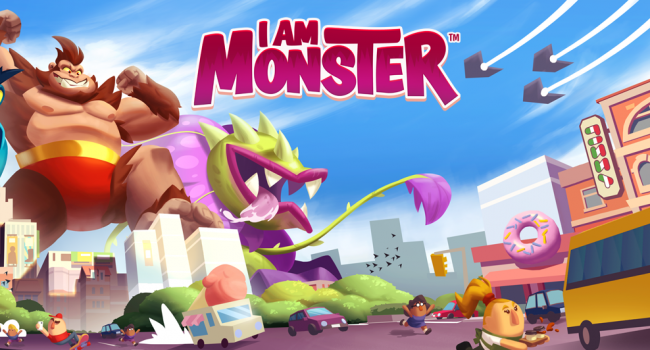 In I Am Monster, players are powerful Kaiju, rampaging through a city and smashing the enemies bent on destroying them. As the monsters traverse vibrant districts and new environments, players can collect unique monsters and pets to build the ultimate monster squad. The more the Kaiju smash the more they grow, evolving to enormous sizes and unlocking powerful abilities. But as the cities fight back, deploying bigger and more menacing bosses, players will have to develop their squad and grow to ever greater heights to defeat them. Expanding on PikPok’s portfolio of original idle games including Kung Fu Clicker; Dungeon, Inc.; and Doomsday Clicker and building on classic monster movie nostalgia, I Am Monster is brimming with action-packed colourful chaos! Adorable unlockable pets to aid in your monster rampage! An original big band-style soundtrack, a jazzy underscore to the monster mayhem! Download a full press kit for the game, including logos and screenshots from here. PikPok is a leading publisher of great games across mobile, tablet and desktop. With a portfolio of original, licensed, and third party developed properties, PikPok delivers games that appeal to all consumers with pick-up-and-play gameplay, high-quality art, and immersive audio design which provide rich game experiences. PikPok has released multiple critically and commercially successful games including the popular Flick Kick® series, BAFTA nominated Super Monsters Ate My Condo™, Into the Dead®, Shatter®, and more. Steal a moment and play a game from PikPok.